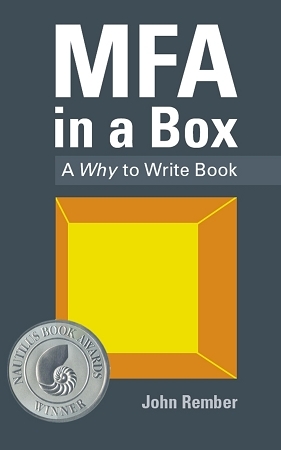 MFA in a Box is not so much a book about how to write as it is about why to write. In chapters that explore the relationships between the writer and love, grief, place, family, race, violence, and other topics, author and creative writing professor John Rember (Sudden Death Over Time, Traplines, Cheerleaders from Gomorrah) helps writers dive deep into their own writing. He tells them how they can breathe down there and how they can get back. "A big part of writing involves grappling with the terrors and discouragements that come when you have writing skills but can’t project yourself or your work into the future," says Rember. "My hope is that MFA in a Box will help writers balance the despair of writing with the joy of writing. It’s a book designed to help you to find the courage to put truth into words and to understand that writing is a life-and-death endeavor–but that nothing about a life-and-death endeavor keeps it from being laugh-out-loud funny."